Antiquités Van Horne. Photo Ianitza Hristova. One person’s garbage is another person’s treasure. Antiqués Van Horne is a true labyrinth, filled with valuable objects dating as early as the 16th-17th century. The 500-square-meter place is like a maze exploding with different artifacts coming from every corner of the world. It’s also a designer’s dream because beautiful objects can be transformed into masterpieces with a little bit of DIY or left as is and incorporated as accent pieces in lavish homes and lofts, or even used in a project. Nicolas, the owner, operates the place and describes himself as a compulsive shopper. Once he has spotted an object to his liking he ignores reason and must acquire it. Therefore, if you have things to sell you can certainly pass by the shop and offer them to Nicolas. He might make you an offer you cannot refuse. Nicolas has been into the business since 20 something years. His very first antique purchase was a piano. He got into this profession by buying property and recycling some of the antiques that came with the properties. Slowly collectibles starting taking up bigger and bigger spaces. 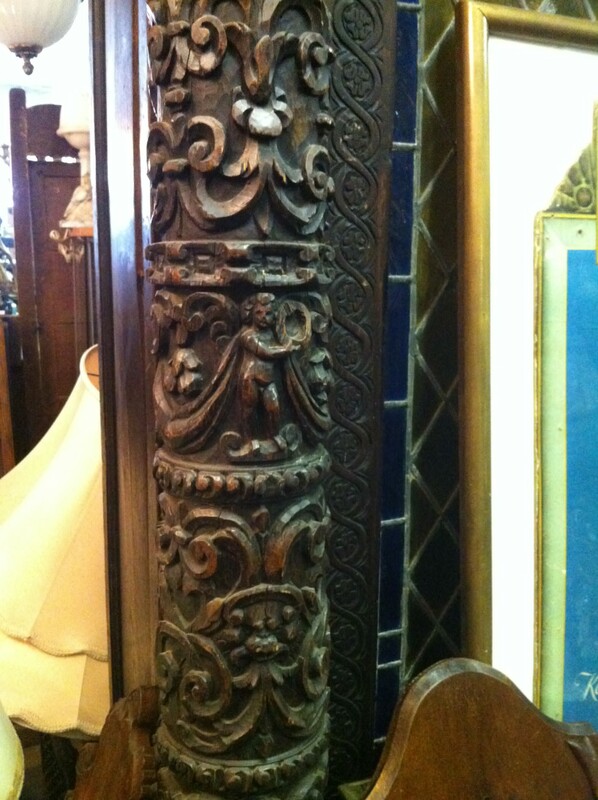 His passion for antiques extends beyond his store. He talks about how his house is filled with collectible antiques and the difficulty he has of getting rid of them. Can he be called an antique hoarder? The answer is probably yes. Antiquités Van Horne is bursting with treasures waiting to be discovered, and some of them are still very functional today. 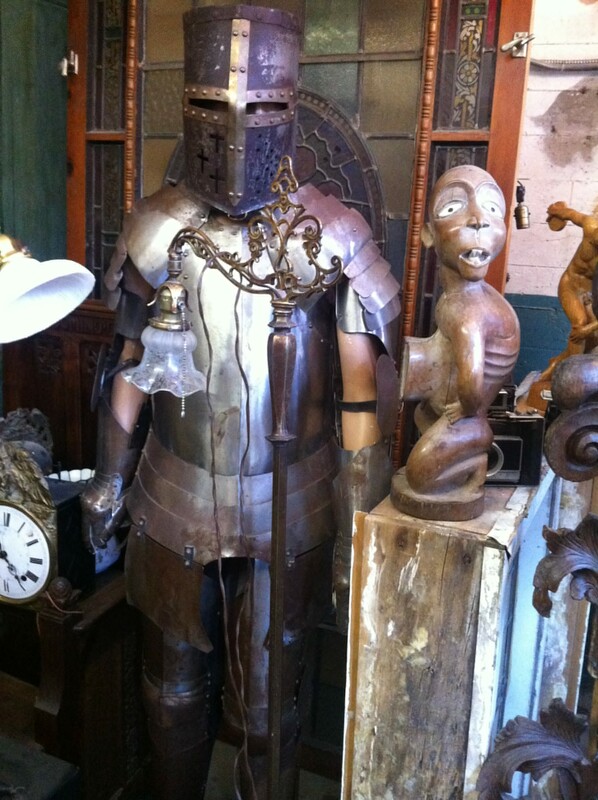 Upon entering his shop you get the feeling you have been transported to some fantasy world where you can find a metal armour suit dating to a couple of hundred years ago. Among the oldest pieces, stands tall, an exquisitely detailed French library with intricate hand carvings, dating from the 1600’s. 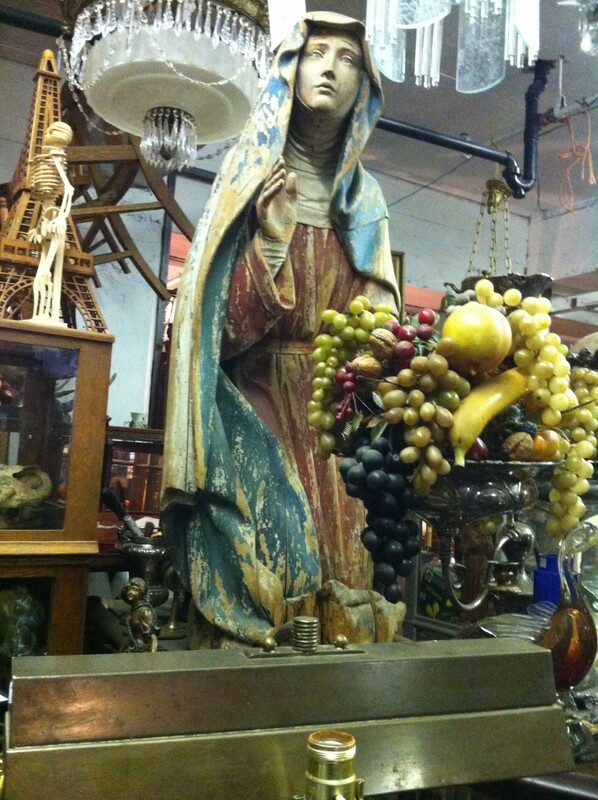 A 1700’s wooden Virgin Mary placed on a piece of furniture overlooks the shop and anyone who enters it. The is also an amazing collection of stained glass, detailed frames, beautifully restored old furniture, figurines, African art as well as art from other continents, terrestrial globes, lamps, and paintings. You could probably find anything that you could think of, it’s just a matter of knowing where it is located in this maze! If you are wondering if Nicolas has a favourite piece, well he has much more than one. I will be careful to call them pieces because they are not simply “objects” for him. Many of them hold so much sentimental value that he is not ready to let go of them just yet. Hence, if you are a buyer and you happen to like the same thing as him… well let’s just say that you have to be ready to bid an interesting amount. 17th Century French Library. Antiquités Van Horne. Photo Ianitza Hristova. He is also open to negotiation in regards to the prices, however be warned that many of them are collectibles and are high in value. When you visit 155 Van Horne Antiques you will be greeted by Nicolas himself and Gigi who is Nicolas’ right wing, also called the ‘guardian’ by Nicolas. 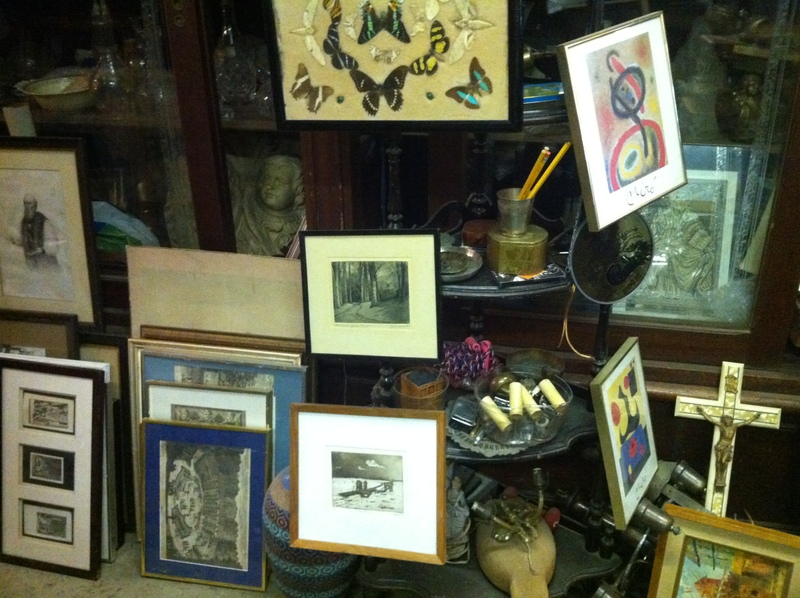 One cannot but stop and think about all the history that is present in this special antiques shop. Antiquités Van Horne is located at 155 Van Horne Avenue. Hi Nicholas and Gigi, My name is Pamela. I live in Deux-Montagnes. I am a companion to my mother. We lost our father 3 years ago, and slowly I am trying to find homes for some of my father’s collecting. I am not sure if this is something that would interest you. It is a needle point of possible a German or Austrian scenery. (I could be wrong on that) It is quite big. I tried to measure it (Length = 2.6 and width = 5.0),without the frame. 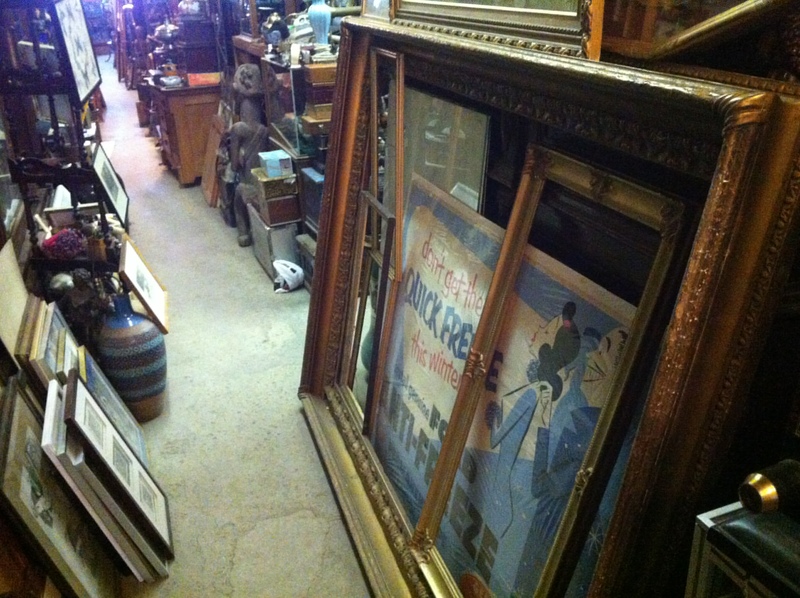 It is encased in a dark brown frame. I would love to send you a pic of it to see if you may have an interest in buying it. I have 2 and they are identical. Look forward to hearing back from you. Do they ya e lots of old pieces of timber lying around? I want to shoot photos of food for my recipe b’og and need some vintage looking backgrounds. Also anyone know why the opening ours are? It always looks closed. Do you give estimates on objects? MPROV Festival Review: The Show Must Go On So Don’t Wait Around!